Now that the weather is warmer here it has me craving light and fresh meals. You know I love a salad and this one is my new favorite. Not only is it gorgeous to look at with so many colors but it is delicious too (and super healthy) ! I have been eating this for my lunch but if you wanted to serve this as a main meal it would be awesome served with grilled chicken or shrimp. If you decide to make this ahead of time I would wait til the last minute to add in the arugula so it doesn't get too wilted. This is best served at room temperature. Enjoy! 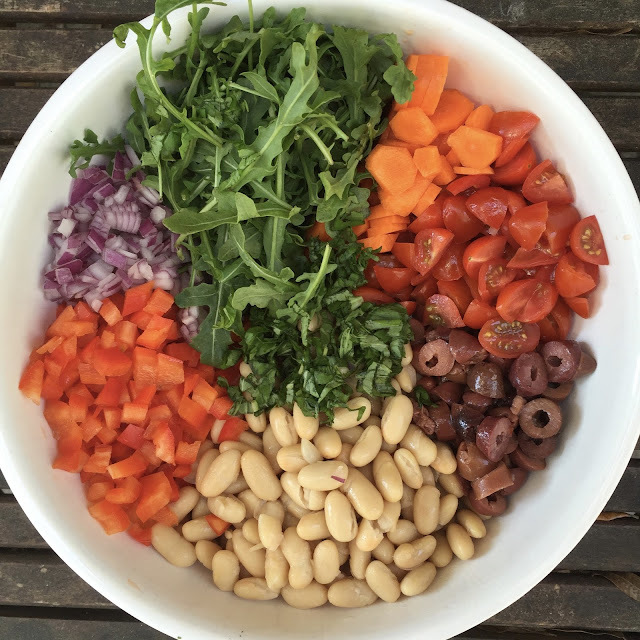 Chop all ingredients and place in a large bowl and toss together. Whisk the olive oil, lemon juice, and sherry vinegar together and season with salt and pepper. Pour over salad. This is best served at room temperature. I wore my new fringe shift dress last night to a Fashion week event and I wanted to share it is back in stock in most sizes. Sizing wise I went up a size. I am normally a 4 but the 4 was snug in my hips so I went up to a 6 and it fits perfectly. I have already worn this dress 2 times this week. I dressed it up with wedges last night but then I also wore it with flats during the day. Super versatile. A close up view of the fringe detail and material. Also these Le Specs sunglasses are the best and under $70. We attended a party last night for Lilly Pulitzer and it was so fun! The party was at The Grand Bohemian Hotel, and the rooftop area was awesome. Such a cool spot to hang out and have a drink over looking the city. 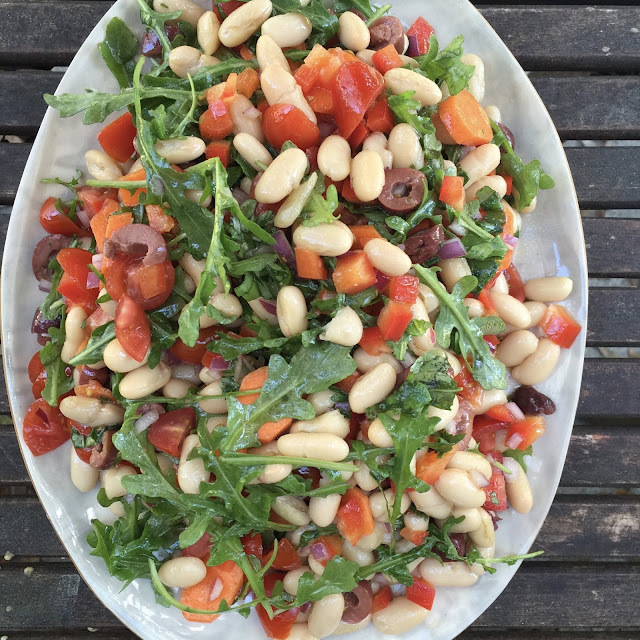 yum - I'm making this salad asap! I just made your roasted beet salad the other day and it was amazing too! Yum! I love all things arugula! I would love to pin this salad but don't see a way to do that from your blog. Any tips?